Semi-rugged laptops for public safety have changed dramatically over the last decade. At one time, fixed-mounted displays were installed in the dash while the power supply, modem, and computing engine were often placed in the trunk or the back of the truck. But time, technology, and even vehicles have changed and new and much-improved computer solutions have followed. Two things that haven’t changed? Public safety personnel expect a lot from their equipment. Their computers need to handle long hours and rough conditions. They should be secure from the elements, viewable in all lighting conditions, protect against spills with backlit keyboards, reinforced hinges, and sturdy handles. And? 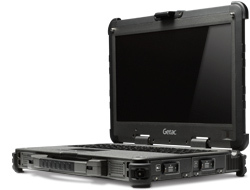 Glacier Computer has been supplying semi-rugged laptops for public safety officials for over 16 years. We understand the nuances of the police car, fire truck, ambulance, and mobile command center. 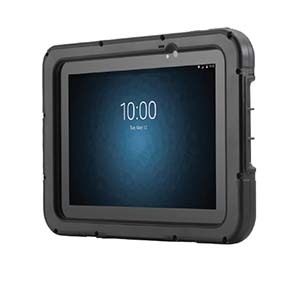 And now that Glacier has partnered with the best manufacturers in the world our semi-rugged laptops for public safety include everything from efficient, light-weight tablets to the most rugged laptops in the marketplace. 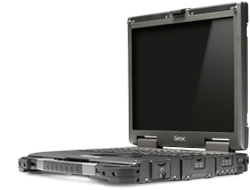 Glacier has partnered with Getac, a long-time leader in the rugged laptop space. 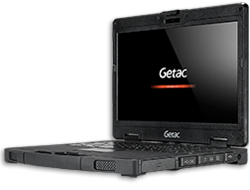 Founded in 1989, Getac has over 250 engineers dedicated to creating the world’s best semi-rugged laptops for public safety. 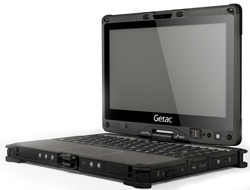 Ranked Number 1 in a survey comparing them to their closest industry competitor, Getac offers several laptop options ranging from the ultra-rugged X500 to the fully rugged V110 convertible to the top-rated semi-rugged S410. 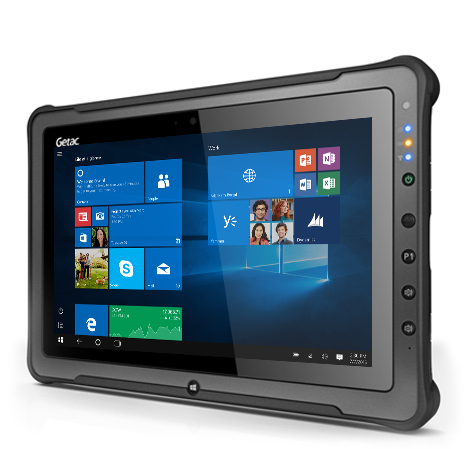 Glacier sells Getac semi ruggedized laptops boasting next-generation processors, QuadraClear displays, integrated 4G LTE, and MIL-STD-810G certification. The demand for semi-rugged laptops for public safety has grown exponentially over the last several years. The ability to set the tablet into a reinforced I/O laden dock in the vehicle then carry it easily while on scene has become commonplace. Sunlight readability, 4G connectivity, drop tested, sealed and Windows-based operating systems are all desired and expected. Screen sizes ranging from 8” to 12”, integrated barcode scanners, and front and rear cameras make tablet computers the most popular police, fire, and EMS computing platform. 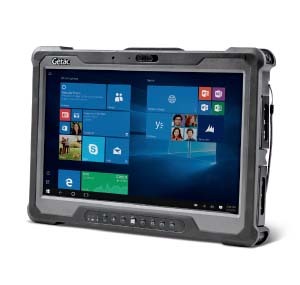 Getac, Xplore Technologies, and Fujitsu ruggedized tablets make up Glacier’s unmatched roster of public-safety tablet computer partners. 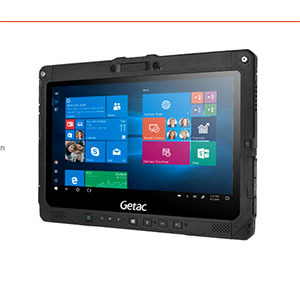 Getac’s F110 is an 11.6” MIL-STD-810G designed tablet with sunlight readable display and optional integrated license barcode reader. The F110 has a vehicle dock with port replication and pass thru antenna capability for WiFi, GPS, and 4G. This allows for external antennas to be placed on the roof of the vehicle for maximum coverage. The F110 comes standard with a three-year bumper-to-bumper warranty. Xplore is the foremost supplier of tablet computers and secured the top spot for national market share over the last two quarters. On April 19th of 2016, Xplore proudly secured a contract with one of the top 10 largest fire-rescue departments in the nation. Xplore’s preeminent public safety tablet is the RX12. The RX12 is 11.6” unit with touchscreen and integrated 4g LTE. The RX12 dock duplicates all important I/O with an integrated 12VDC power converter that makes for easy power input, and a backlit rugged keyboard that makes for simple and reliable data input. 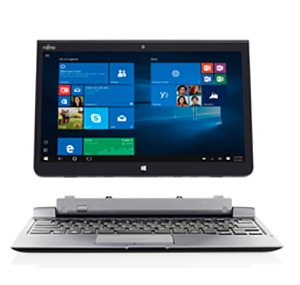 Fujitsu Corporation offers semi-rugged laptops for public safety demands. The Fujitsu Q737 has a 13.3″ LCD display with dual-mode touchscreen allowing for both pen and finger input. 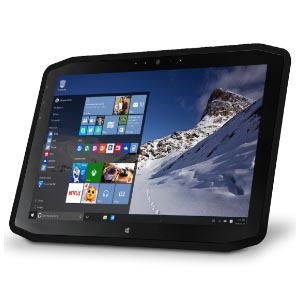 An Intel iSeries processor and integrated 4g LTE make the Fujitsu Q737 the most efficiently priced public safety tablet. A vehicle dock, 12V converter, and numerous mounting systems allow the Fujitsu to easily be installed into any public safety vehicle. Contact your Glacier representative to get help in deciding which solution or combination of solutions is the best fit your public safety computing demands.